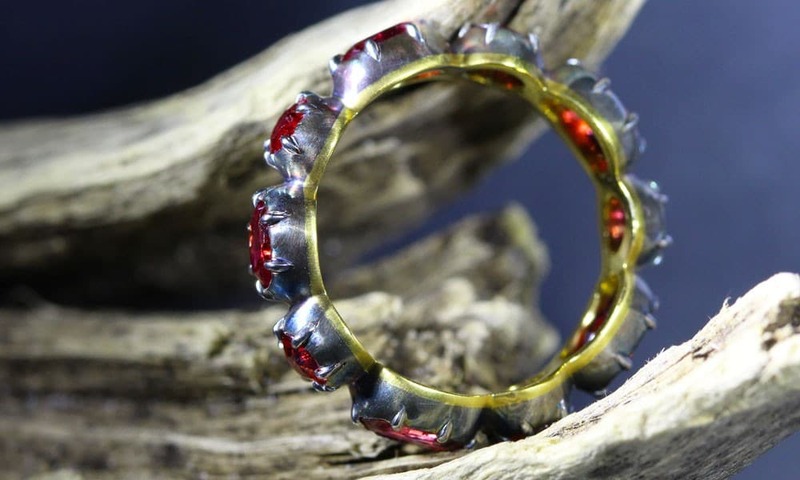 A full circle collet-set band ring created with specialty picked vintage Rubies from our family collection mounted in our uniquely designed *oxidized silver topped 22 kt gold. 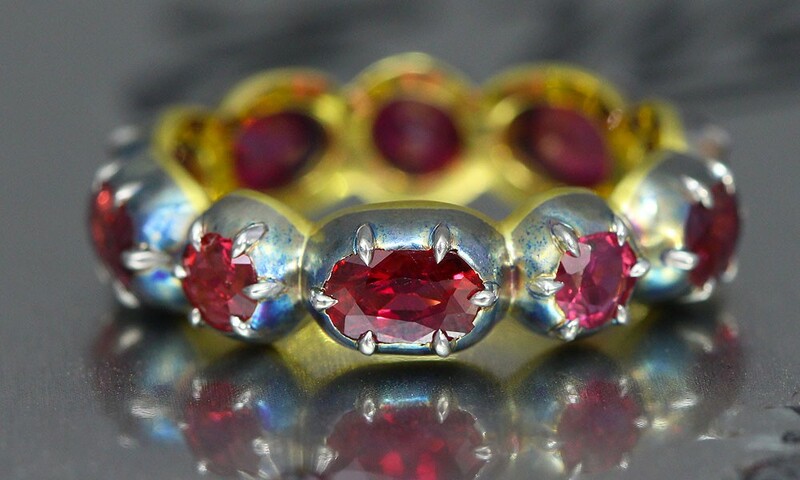 Additionally, each of the ten gemstones are further secured with six small eagle-claw platinum prongs which is a twist for this Georgian band design but also serves as a better more secured setting for the vintage Rubies. This ring is set with ten alternate round & elongated cushion shaped vintage Rubies weighing a total weight of 2.89 carats. Oxidized silver, 22kt gold and Platinum, 3.6222 grams. 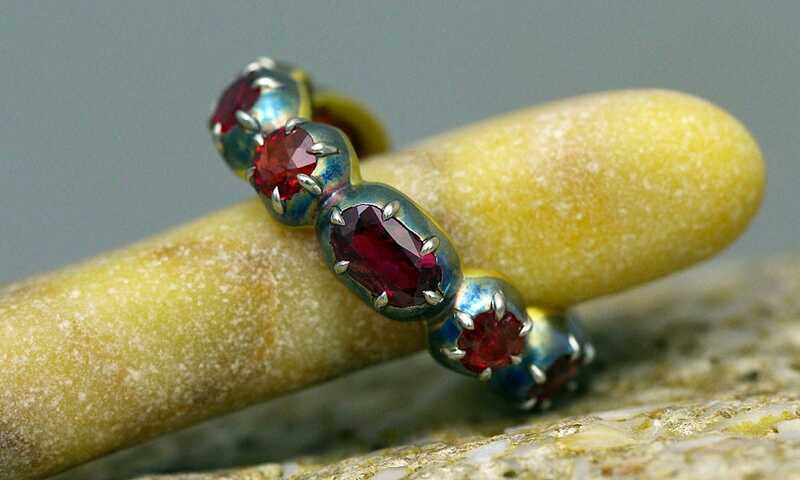 Over time and depending on the amount of wear you give your rings, the oxidized finish will change creating the look and feel Antique jewels usually display. As a general note, oxidized silver jewelry should not be cleaned with jewelry cleaning dips or polishing which can strip the blackened patinated surface. For cleaning, use a mild dish detergent and soft toothbrush with as little rubbing as possible.